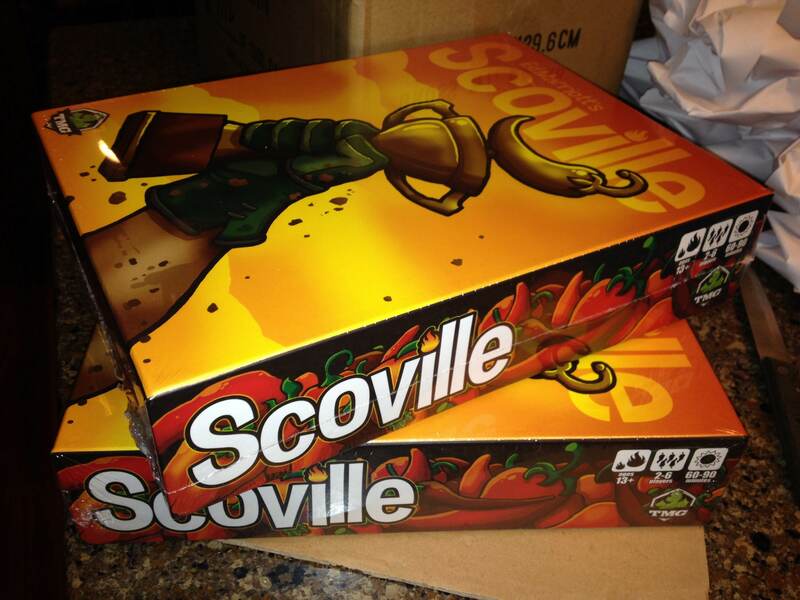 Posted on January 9, 2015, in My Games, Scoville and tagged awesomeness, board games, Scoville, Tasty Minstrel Games, TMG. Bookmark the permalink. 4 Comments. 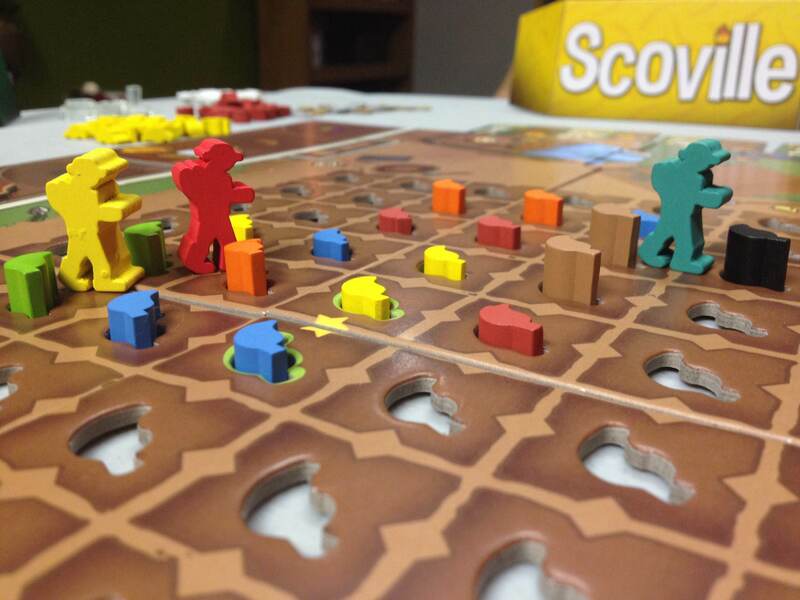 I just received my copy of Scoville in the mail today, and perhaps you did, too. What follows is a terrific primer by Ed Marriott, the game’s designer. 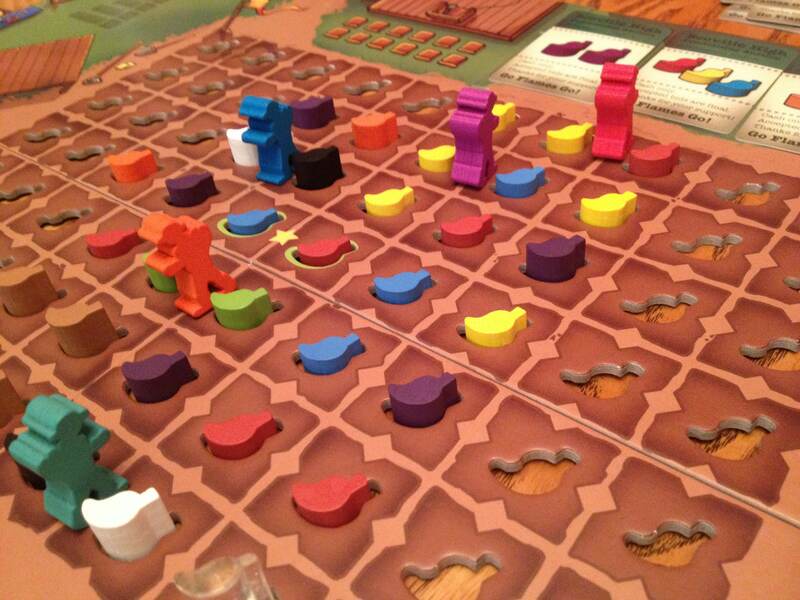 And if you want to hear about Scoville directly I sat down and talked to Ed about his game in Episode 13. Enjoy! I’ve recently been enjoying my first forays in to Chilli farming, congratulations on designing such an excellent game! 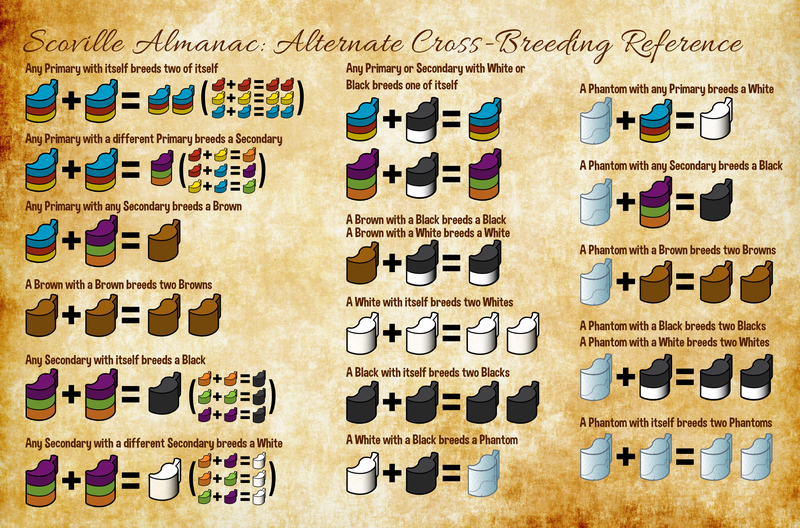 After discovering the alternate cross-breeding chart via Google, and realising it was your own design, I emailed Michael Mindes earlier this week to suggest it would make for a nice stretch goal in the upcoming expansion. Michael seemed to like the idea, and said he would forward it on to you. If this is something you want to pursue, I wonder if I might be exceptionally cheeky, and suggest a couple of minor tweaks? I hope you don’t mind – and please feel free to tell me where to get off! I think the ‘any primary with another primary’ and ‘any secondary with another secondary’ equations would be a little clearer if the second stacks were shown in a different order to the first. They currently don’t match up to the expanded formulae shown in the brackets. The same is true of the ‘Primary with itself’ and ‘secondary with itself’ equations – the expanded formulae don’t line up with the initial equations. I suppose what I’m saying is that the initial versions of these equations are superfluous given the expanded versions you have included. PS Have you tried any Thornbridge or Kelham Island beers? I can highly recommend both! Thanks for the feedback, Neil. We can definitely make changes like you suggest. This should make it slightly more understandable. I’m glad you’re looking forward to the expansion. Sadly I have not had either of those beers.